Hey guy! Happy weekend and holidays! I hope you are having a great time and are taking good care of your teeth. I know it can be a little difficult to maintain, but with a little effort you can do it. Today I want to discuss about the importance of drinking water every day to get a nice beautiful smile. I know it sound simple, but trust me on this one, it is really important. First of all, you have to make sure you are covering all grounds. Dental care is much more than just brushing your teeth. You have to take into account a lot of things if you want white beautiful teeth. You can start by brushing your teeth every day at least twice a day. Use dental floss after brushing to eliminate the food debris that gets stuck between your teeth. End it all with a good rinse using mouthwash and you are set for the basics. Sadly, this is not enough if you want a perfect smile. You have to watch what you eat and drink so you do not stain your teeth pretty badly. That is right, there are certain food that I suggest to avoid so you do not mess up your precious smile. On top of that, make sure you visit your dentist at least twice a year for regular checkup and some nice cleaning. Speaking of dentists, did you know that you can save more than 50% in dental with Dental Solutions Los Algodones? Yep, one of the best clinic in Los Algodones, with modern facilities, and the best staff fluent in English. Come and visit us, we are really close from Yuma Arizona, about 7 mile southwest and crossing the US-Mexico border. You won’t be disappointed and you will save tons of money. As I was saying above, you have to watch what you eat and drink if you want a healthy smile. Almost everything cause harm to your teeth, but that does not mean that there are other healthy options. 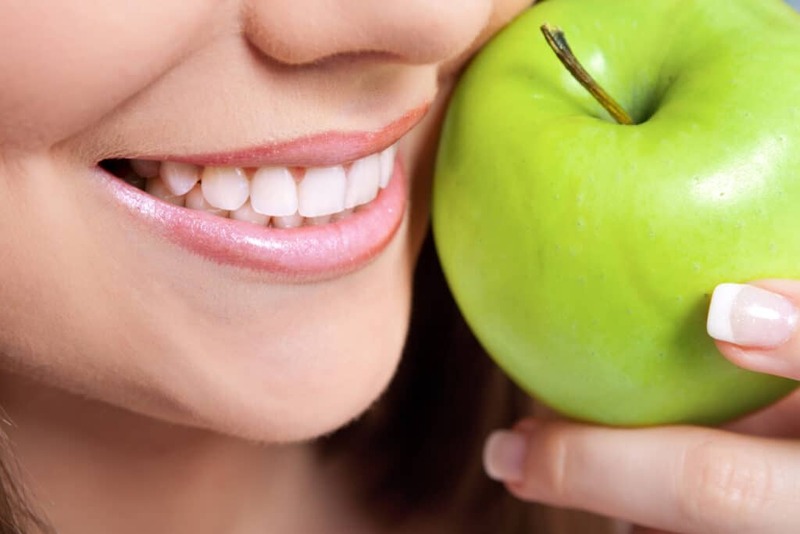 Fruits are really good for your teeth, apples and pears especially. They help hydrate your body and are really healthy. They even help to clean your teeth naturally and are really tasty. You got the best of both worlds if you are looking for a healthy snack. The secret for the benefits of fruits is the water. It is scientifically proven that water helps to replenish your body. Remember that our body is made of 80% water or so. You may wonder what does water has to do with our mouth, the answer is really simple. You can say just one word, saliva. Saliva is really important to keep our mouth moist and protect our teeth. Saliva does a lot of work keeping our teeth well-guarded and shielded from bacteria and dental plaque. So you can guess right now how much important is for our dental health to produce enough saliva. With that said it is pretty important that you drink gallons of water to keep your body well hydrated. 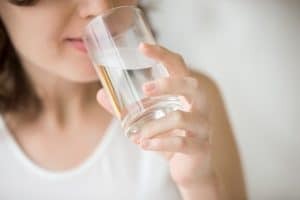 Most dentists in Los Algodones suggest that for healthy mouth 6 to 8 glasses of water is enough to keep well hydrated. Besides those numbers, I suggest to reduce the consumption of salt and sugar along with alcohol. Those can dehydrate your body pretty fast, causing dry mouth and give your dental health problems in the long run. Keep in mind that dry mouth can destroy your smile because it leaves your teeth exposed to dental caries and more. So go ahead, serve yourself a good glass of water and drink away!